"Best star gazing app I’ve ever used. Very well put together and great visuals!!! From end to end this app is a must-have for anyone interested in astronomy!!" "If you download only one app, make sure it’s this one!! This is one of the best apps I’ve ever seen, period! 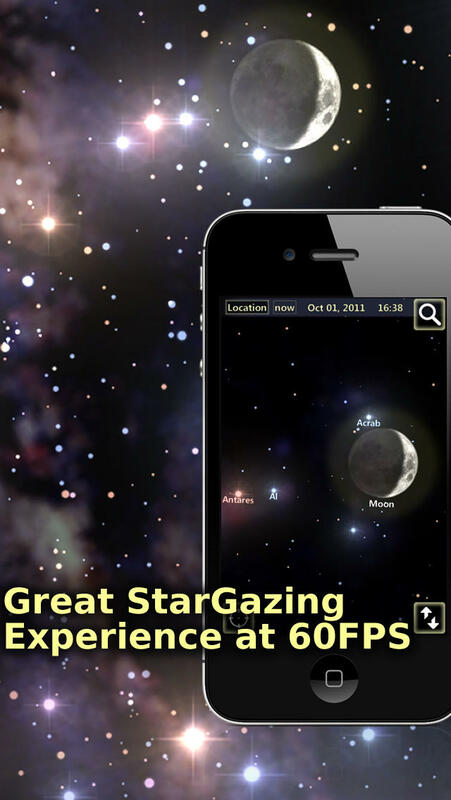 Its quality is unmatched among star gazing apps!" • Sun, Moon, planets, 88 Constellations and 8000+ stars visible to the naked eyes. • 12 Zodiac Constellations Art & 6 famous deep sky objects with magnificent graphics. • Auto hide all menus and enter AR track mode when lift up the device and point to sky. • Full 88 Constellations & 100+ deep sky objects with magnificent graphics. • Search and guide you to stars, constellations, planets and deep sky objects. • Time Machine menu and location menu to encourage children to exploring more on time and location dimension. • Night mode switch, to protect children’s eye when doing star gazing outdoor. Fix crash on startup under certain OS version.